Learn the history of the 2008 financial crisis and stock crash, when the S&P 500 declined more than 57%. See what caused the crash, and the lessons we can learn from it. The 2008 financial crisis resulted from a buildup of financial problems during 2003 to 2007, all while the US stock market moved higher. Starting in 2007 and then throughout 2008, the stock market collapsed under fears of a financial system meltdown. 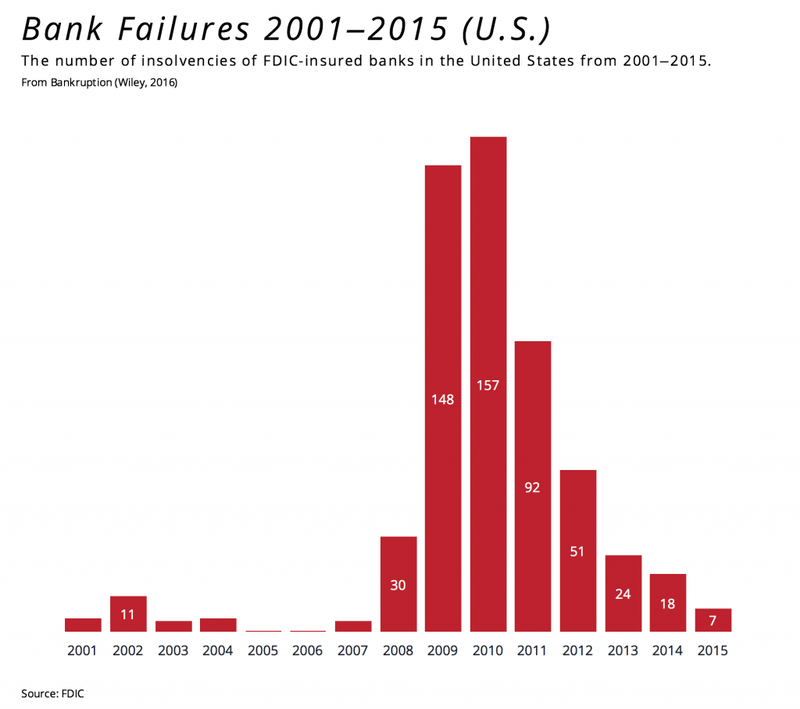 Many US banks went bankrupt or required government bailouts. The 2008 financial crisis was the worst since the Great Depression of the 1930’s. The S&P 500 index peaked at 1576.09 in October of 2007, and traded as low as 1411.19 at the end 2007. 2008 commenced with more selling, and any short-term rallies remained well below the prior peak. The selling continued, with the largest declines occurring in September and October of 2008. The S&P index ultimately reached a low of 666.79 in early 2009, a 57.7% decline from the high. 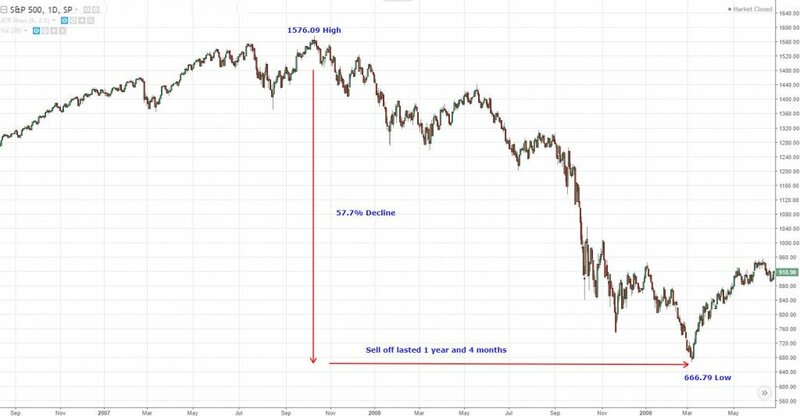 The sell-off lasted 1 year and 4 months. An uptrend followed, eclipsing the old high of 1576.09 in April of 2013. In other words, it took 5.5 years for the stock market to fully recover the losses experienced during the crash. While this is devastating for those who held onto stock throughout the decline. Those that bought stocks in early 2009 saw stock prices rise by 70% over the next year and nearly 100% over the next two years. 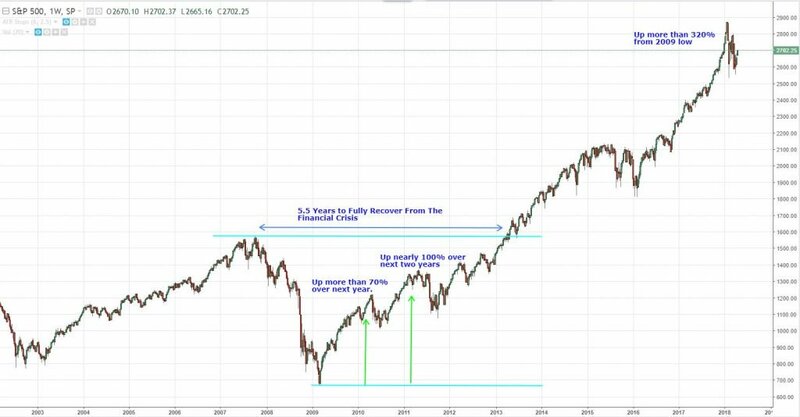 Between 2009 and early 2018, the market had rallied more than 320% off the low. The US stock market collapse was tied to the collapse of major financial institutions, including Lehman Brothers and the government bailout of AIG (so it wouldn’t collapse). Financial institutions were in trouble because of over-exposure to declining housing prices. Financial products were created to package mortgages. These packaged mortgages were then sold to other financial institutions. The idea was that you could offer a mortgage to someone who could barely afford it (high risk), but offset the risk by packaging this junk loan with higher quality ones. This generated lots of fees and commissions for the banks, and was fine…as long as housing prices continued to rise. SP 500 And NDX Futures Daily Charts – Well Meaning And Clueless, Or Reckless And Self-Absorbed?